Using Hypnosis To Let Go Of Anger: With A Clenched Fist?! Often when a closed fist is mentioned, people might think about it being a symbol of anger, a symbol of might or strength, or maybe as a symbol of violence. Others might perceive a closed fist as a sign of aggression, or celebration, or as a means to inspire someone. For some it represents power or a sense of freedom, and it is a sense of freedom that I want to promote within today’s blog entry; using a fist and combining it with hypnosis for great therapeutic effect to help let go of anger. This kind of process that I am sharing today does not have to be limited to people that may think they have an anger problem. Rather, it may well be used by anyone hoping to overcome a angry episode. Likewise, it is a great tool for any hypnotherapist to be able to use with clients who want to deal with and manage anger effectively. Many people and many clients of a hypnotherapist often need to be shown how to let go of a negative affect (in this case we are focusing on anger) that they experience. Especially if that negative experience has some accompanying physical tension. I have shown a great number of methods and means for dealing with such here on the blog in the past including an array of mental imagery techniques and strategies all aimed at lessening such sensations and affect. With the closed-fist technique that I am sharing here today, you are encouraged to make a fist in order to contain and control unwanted sensations of anger. Though of course, it could easily be used in the same way to deal with other negative emotions, such as anxiety of some kind, for example. Step One: Get yourself into a comfortable position and one whereby you are going to be undisturbed for the duration of this exercise. make sure your feet are flat on the floor and place your dominant hand in your lap with your palm facing upwards. Then in that position, Induce Hypnosis. However, with this process, an induction is potentially too much activity, so I teach my clients how to adopt a hypnotic mindset and simply have a mindset that is positive and expectant. Again, to really understand the cognitive set of the hypnotic mindset, go grab a copy of my Science of self-hypnosis book where it is explained in simple but comprehensive terms. Once you have induced hypnosis, or just adopted the hypnotic mindset, move on to the next step. Step Two: Tune into how you are feeling right now, move your awareness to scan through your entire body and identify any areas where the anger is felt. Get in touch with the sensation of anger, knowing that you are soon going to let it go and diffuse it without harming anyone, including yourself. Really looking forward to letting go of it totally and safely for now. Be aware first of all with your feet. Is there any sign of anger being there? If so, move it up, through your body and into the hand that you have placed palm up in your lap. Bring all the angry feelings there and put them in the palm of that hand. Continue to scan through the entire lower part of body (everything from waist down) methodically and systematically and move all the feelings of anger upwards into that palm. Take all the time you need to do this surely and thoroughly. When you have all of those feelings resting in the palm of that hand, then move on to the next step. Step Three: Just as you did with the lower body, now do the same with the upper body. Is there any anger at the top of your head? If so, start moving it down toward the palm in your lap. Move and scan through the face, shoulders, chest, stomach back and everywhere else in between and around the upper body, methodically and systematically finding and locating any anger and mobilising it toward the palm and let it all gather up and settle in the palm of that hand. Tell yourself that there is no need to keep the anger in any other place and that you are forming a sort of temporary coral that you are herding the anger into and onto – the plam of your hand. Start to notice the absence of it from the places you are removing it from, you can let those places relax if you want. When you are sure that all the anger is there on the palm, having spent the time doing that thoroughly, then you move on to the next step. Step Four: Use your imagination and imagine that your hand is closing around the anger. Start to then actually close your hand to make a fist. As it does so, imagine your hand is machine-like in the way it is compacting the anger. Imagine the anger getting smaller as the fist closes tighter and stronger. Make a tight fist, close your hand, make a fist of strength that is capable of containing the anger. Tell yourself that you are stronger and better than the anger and repeat that message to yourself as you sense the anger diffusing and dispelling. Start to notice how much effort it takes to hold an increasingly tighter fist, notice the energy you use to compact and contain all that anger in your hand. When you start to notice a slight strain and the fist is so tight that it has all your focus and attention driven into it, move on to the next step. Step Five: As you notice that effort that it takes to maintain the closed tight fist, start to think about how much effort it takes to be angry at all. It takes a lot of effort to experience anger. You want to be healthy and well and happy and tell yourself that right now. Start to tell yourself that you are going to let the anger go, for your own well-being. Imaine the anger is leaving and taking all the tension and unwanted feelings away with it, leaving your mind and body free and more clear. When you are ready to relax your body more and more and let go of the anger totally, then slowly open your fist, relax the muscles in your hand. Open the fist and imagine the anger leaving, dissipating, diffusing and going. Let it disappear into the distance, let it evaporate and become harmless nothingness. As you do that, as you let go, breathe deeply and start to relax your body. Any breathing technique you know, or progressive muscle relaxation process you know, spend some time doing that now and get your body relaxed and enjoy being free of the anger. When you are sure it is all gone and you feel deeply relaxed, then move on to the next step. Step Six: Reflect intelligently upon the anger while you are now deeply relaxed. Think about how you will choose to be in the future and how you strive to continue to make healthy choices for your body and mind and reflect upon how one affects and influences the other so greatly. If you feel it will do you some good, make a decision to go and explain your thoughts and feelings to someone that will hear you and not judge. Continue to let your hand and body relax, continue to breathe deeply while you reflect intelligently and when you have done so to your satisfaction, then move on to the final step. Step Seven: Wiggle your toes and fingers, open your eyes, exit hypnosis and go about your day. Remember to take some action that is going to be proof that you benefited and changed as a result of what you did in this self-hypnosis session. Enjoy this process, it is a lovely thing to do and we can all benefit from it greatly. There you have it. Using the closed fist and combining it with hypnosis to be able to let go of anger or other unwanted negative effects. 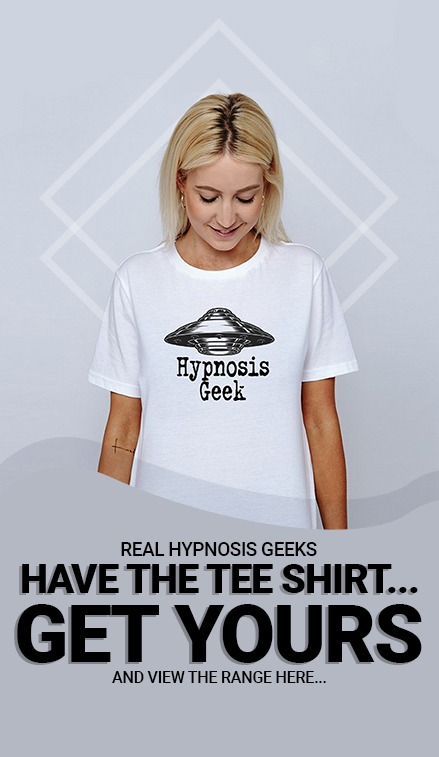 Would this technique work for a client who finds it hard to relax or who is anxious about hypnosis? Maybe as part of an induction? I have to admit, I use this technique frequently in my job when it becomes stressful, although i do it rather covertly of course! However, i have tended to start with my fist already loosely closed. Then, in my mind i imagine the tension/stress/anger coarsing through my body like the blood in my veins, and then imagine that the tighter i close my fist, the more this tension is attracted to it, and starts to flow down into it, making it tighter and tighter. I even give it a colour… Its as if I am channeling it, and harnesssing it all into my hand!! Have you ever seen one of those movies or games where a character can shoot lightning bolts out of their hands… ? Well, i basically imagine that my hand becomes intensely energised as if I am about to do just that. Then once all of the tension is in my hand, I just relax the fist, and feel it all shooting away or evaporating. This works for me. But I think the approach you state Adam is likely to be more universally effective, mainly because not everyone is like me and wishes they really COULD fire bolts out of their hands! Absolutely Matt, it is fine for that kind of application and of course can be adapted as with so many of these things. Nice thought process. Best wishes, A.